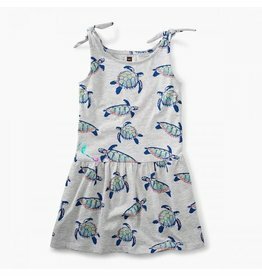 The Tea Collection Tie Shoulder Dress has a school of sea turtles in this all-over print! 100% cotton jersey. Ties at shoulder. Sizes 2 to 8.